There is a careful balance that needs to be achieved when deciding the listing price of your North Shore home. On one hand, you want to get as much money as you can for your home. On the other hand, you must be realistic about what you home is worth based on several factors. With my many years is assisting sellers on Chicago’s North Shore, I have found that this is the best approach. Know your comps. Get on the internet and look for homes that are comparable to yours — both currently listed and recently sold. When looking for comparable homes, be sure to take your home’s amenities into account, not just the number of bedrooms and the square footage. Many listing websites offer calculators that can help walk you through the process of comparing your home to others. Keep in mind though, what your home is actually worth to buyers depends very much on how your local real estate market is performing. Seek professional assistance. Your agent will mostly likely complete a comparative market analysis (CMA) for you. Being that an agent who specializes in your area has worked with many buyers and sellers, he or she will know where to find the information and which information is reliable. It’s also a good idea to have your home appraised as early as you can in the selling process. It will definitely have to be done at some point, and a professional appraisal will give you the true market value of your home. Market factors. As previously mentioned, the state of the housing market in your area will be an important factor of setting your listing price. While an appraisal may determine what your home is worth based on its physical attributes, you may not be able to get that dollar amount if other comparable homes in your area listed for less. The amount of inventory available in your neighborhood can also affect the listing price of your home. If there are many homes available, buyers will have a bit more leverage than if availability is low. Be strategic. 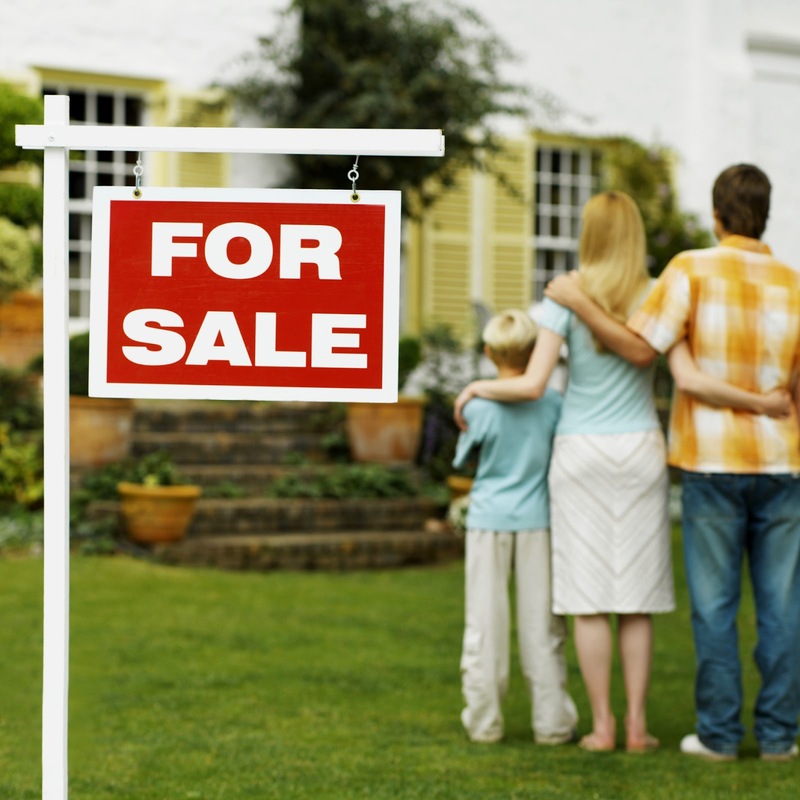 Before listing your home, you must determine what your bottom-line selling price is going to be. Once you determine that number, have a discussion with your realtor to create a pricing strategy around that number. You will want to start at a price point that is higher than your bottom-line but not so high that it’s turning away potential buyers. You also want to be strategic based on the price range of comparable homes in your area so that your home in returned in as many searches as possible. If the average price range for homes in your area is $650,000 to $700, 000, listing $705,000 may end up excluding you from searches. The more visibility your home has on listing sites, the more likely it is that you will find a buyer efficiently. Evaluating whether or not your home is priced correctly will be a continual discussion with your agent as you go through the selling process. Revisiting your listing price often is a proactive way to help get your North Shore home sold as quickly as possible. When you are working with a realtor who has extensive knowledge and understanding of Chicago’s North Shore real estate market, he or she will ensure that your home is priced to sell while still having your best interest in mind as well. Please feel free to contact me for more information on selling your North Shore home. I would be happy to be at your side to help your through the selling process. Chicago’s North Shore Communities Love the 4th of July! Independence Day is only a couple weeks away, and many North Shore residents are starting to plan their festivities. While some prefer to remain in the comfort of their own North Shore home’s backyard and throw a barbecue, others can’t wait to get out to their North Shore community’s annual celebrations. Here’s what is going on this 4th of July across Chicago’s North Shore. Deerfield Family Days will take place both days, with entertainment and fireworks at Brickyards Park at 9:15pm on July 3rd. On July 4th, Jewett Park will host a pancake breakfast along with activities that will include arts & crafts, a gourmet food market, bike show, dog show, the rotary 10K race, a petting zoo, pony rides, a parade, a flower show and food concessions. Evanston's 4th of July Parade will begin at 2pm and will start at Central Park on Central Street through to Ashland Avenue. The Twilight Concert will begin at 7:30pm, with Lakefront Fireworks starting at 9:15pm. 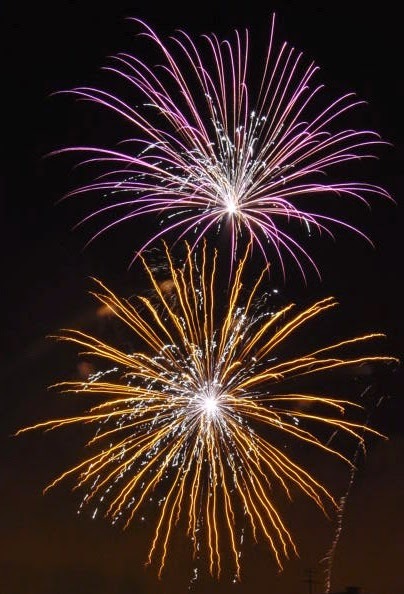 The musical fireworks display will be launched from Clark Street Beach and can be viewed from any part of the lakefront area east of Downtown Evanston. The celebration will begin with a children's decorated bike parade at 11:15am with the main parade starting at 11:20am. It will be kicking off at the intersection of Harlem and Glenview Road, heading south on Harlem, then marching west on Central before ending at Johns Park. At the Glenview Golf Club at 7:30pm, the Twilight Show will begin with a patriotic concert by the 100-piece North Shore Concert Band. The show ends with fireworks at dusk, synchronized to patriotic music. The festivities will begin with the Children's Bike & Pet Parade at 9:30am, followed by the Independence Parade at 10am. Held in Downtown Highland Park, the parade will be followed by Fourth Fest at Sunset Park featuring a fireworks display at dusk. A pancake breakfast will be held at Village Green Park beginning at 7am, featuring music and family games. The bike parade will begin at 2pm with the main parade following at 2:30pm. It will begin at Cherry and Western and end at the Village Green Park. Fireworks will take place at Meadowhill Park at dusk. The 4th of July parade will begin at 10am at Elm and Glendale. Activities begin on the Village Green at 11am with a children's flag parade and family races. The evening will conclude with Fourthfest at 6 pm at Duke Childs Field with the fireworks show begins at 9:15 p.m.
I’ve always loved how each community has its very own celebration. The communities on Chicago’s North Shore really have a close knit feel about them, encouraging togetherness of the residents. If this sounds like an atmosphere that appeals to you, please contact me for more North Shore real estate information. If you already live in the area but are considering purchasing a new home or selling your current, I would also be happy to hear from you. Have a safe and fun 4th of July! With over 25 years of experience in North Shore real estate, I have encountered many home buyers. So often North Shore home buyers have many questions regarding the process, especially first time buyers. It’s always a good idea to educate yourself as much as you can when making a major life purchase, a home or otherwise. I make it a priority to keep my clients informed at each step of buying their North Shore homes. If you are considering the purchase of a home on Chicago’s North Shore, here are 5 questions that may be weighing on your mind. What can afford? Most lenders prefer that your mortgage payment, including interest, taxes and insurance, is no more than 28% of your gross monthly household income. Think beyond just your mortgage payment though. You also must have money for a downpayment and closing costs on hand, which can be as much as 25% of the purchase price of the home and in some situations even more. Also take homeowner's association dues, maintenance, and utilities into account when determining your monthly housing budget. Should I get pre-approved? There are a few good reasons to get a mortgage pre-approval. First, a pre-approval will allow you to establish a price range, also giving you an idea of how much you will need as a downpayment. 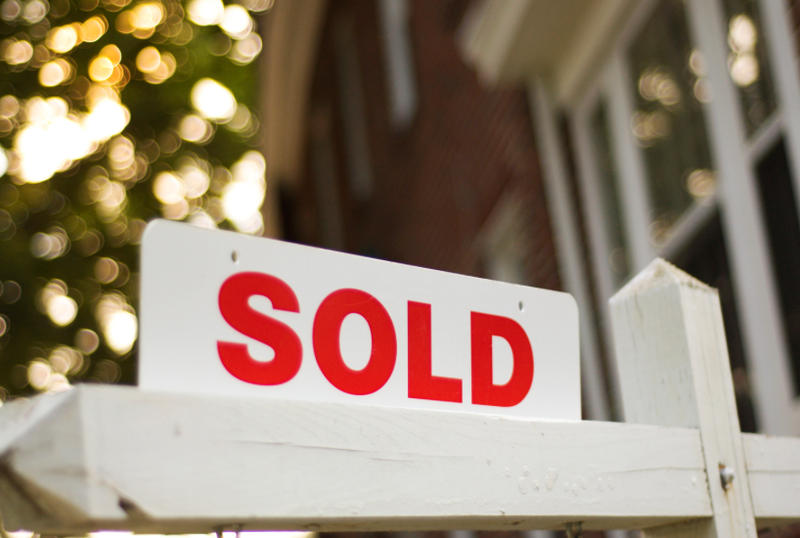 Second, it will make you more appealing a seller when you're ready to make an offer. Since the seller will know that you are actually able to purchase the home, you will have the upper hand compared to a buyer without a pre-approval. Finally, it will streamline the buying process by giving you the opportunity to resolve any issues that may arise during the approval process, preventing any holdups in the closing process. How long does buying a take? Obviously the time it takes a buyer to find a home varies depending on exactly what the buyer is looking for. With regard to the closing process, it will usually take a month to a month and a half. Getting pre-approved is a great way to speed up the closing process. What should I expect to pay in closing costs? Closing costs are usually in the neighborhood of 3% of the purchase price of the home but can vary from one buyer to the next for a variety of reasons. A day before your closing you will be able to review your HUD-1 Settlement Statement which specifies all of the fees that make up your closing costs, You will want to review the document for accuracy, and be sure to ask for clarification on anything that you don't understand. Should I work with a buyer’s agent? Having an agent on your side while going through the home buying process can alleviate much of the stress that can come along with it. A buyer’s agent can handle most of your home search for you, supplying you with a list of homes that meet your needs and scheduling showings for you. A buyer’s agent will also handle negotiations for you, if you would like him or her to do so. Plus, a buyer's agent works at no cost to the buyer. I realize that these are probably only a few of the many questions that you may have, and you will probably have even more once you actually begin searching for your North Shore home. Please contact me if you are interested in partnering with an experienced North Shore realtor to start your search. I’m happy to answer all of your questions and will help you to find the perfect home on Chicago’s North Shore. City Active Listings: There are a total of 155 properties actively on the market with the average price of $2,268,026 in Winnetka. City Sold Listings: 28 properties closed last month in Winnetka with an average sales price of $1,459,121, the average time on market for these properties was 72 days. City Active Listings: There are a total of 222 properties actively on the market with the average price of $1,182,423 in Highland Park. City Sold Listings: 47 properties closed last month in Highland Park with an average sales price of $615,286, the average time on market for these properties was 56 days. City Active Listings: There are a total of 108 properties actively on the market with the average price of $667,404 in Deerfield. City Sold Listings: 28 properties closed last month in Deerfield with an average sales price of $416,718, the average time on market for these properties was 31 days. 5 Tips for Hosting a Stellar North Shore Barbecue! Summer is upon us on Chicago’s North Shore! Time to move the dinner party from your dining room table to the backyard. What a great way to utilize all of your North Shore real estate while showing off all of the time and effort you’ve put into your yard! The most important things to focus on are keeping your guests comfortable and engaged. Here are some tips to help you focus on just that. Plan your menu: When choosing the food you will be serving, be sure to consider all the guests who will be in attendance. While steak and burgers are great cookout staples, be conscious of those who may not eat red meat or maybe even any meat at all. Keep your side dishes varied as well. Not everyone loves potato salad! If you are planning to provide alcohol, have a selection of beer and wine at a minimum. While you can’t necessarily meet everyone’s preference, providing a wide variety will allow you to come as close as you can to doing so. Avoid paper plates and plastic forks: If you have at least one barbecue a year, invest in a set of inexpensive “outdoor” dishes and cutlery. Even if they're just plastic, they will not only hold up to heavy grilled food better but also create a more formal feel. If you really want to avoid dish duty, there are also disposable bamboo options available as well. While more expensive than their flower-designed, wax-coated cousins, they are both more environmentally friendly and create a unique presentation. Bring on the games: Avoid lulls in your party by having lawn games available. Croquet, bocce ball, and badminton are all great options. They will allow your guests to have a reason to mingle and can all be played without an abundance experience. If you have children in attendance, consider having some kid-friendly options readily available as well. Keep it bright: Ensure that your outdoor lighting is sufficient once the sun sets. Strung outdoor lights can be functional while also adding a decorative flare. Table top lanterns can also be a great way to add illumination to your outdoor area. You may also want to consider one or two propane heaters. Again, the comfort of your guests will great affect their enjoyment of your event. Beware of bugs: When dusk arrives, so do the bugs. Citronella candles or torches around the perimeter of the gathering space are a great way to cut down on the pests. It’s also a good idea to have some sort of repellant spray or cream available for those who choose to use it. Nothing can kill the mood of a get-together more than being attacked by mosquitos! Most of us look forward to summer on Chicago’s North Shore all year long. Now that it’s here, make the best of it! Many people enjoy backyard gatherings because they tend to be low key compared to those indoors, but we all still want to “wow” our guests. 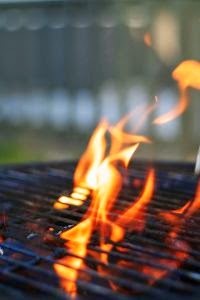 If you’ve been considering selling your North Shore home, a barbecue can also be a great time to take in the impressions of others regarding the exterior of your home and your curb appeal, both in the front and back of your home. I would also be happy to supply you an objective opinion of your North Shore home curb appeal. My years of experience helping others both buy and sell North Shore real estate have given me an eye for the important details. If you would like assistance with any of your real estate needs, please contact me. We’ll find you a home or get your current sold in no time at all!